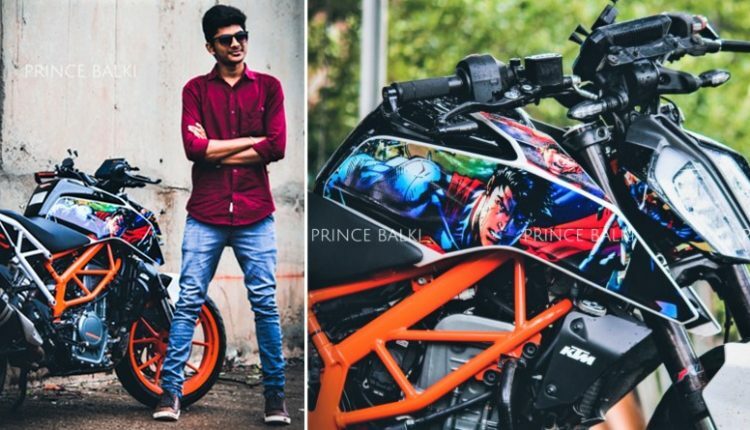 Meet KTM Duke 390 Superhero Edition: Prince Balki has again wrapped his KTM Duke 390, this time personally printing all the superhero stickers and applying them on the motorcycle. 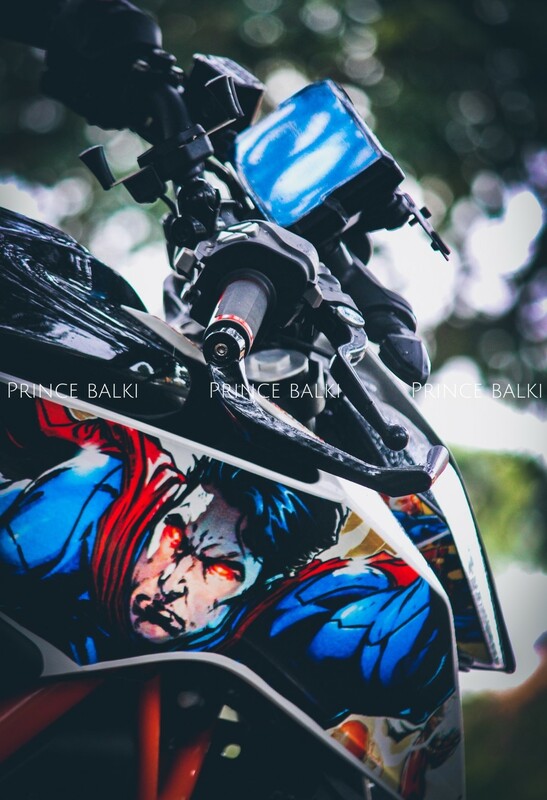 The Superman theme was printed on the wrapping paper, getting a homemade recipe for improved road presence. 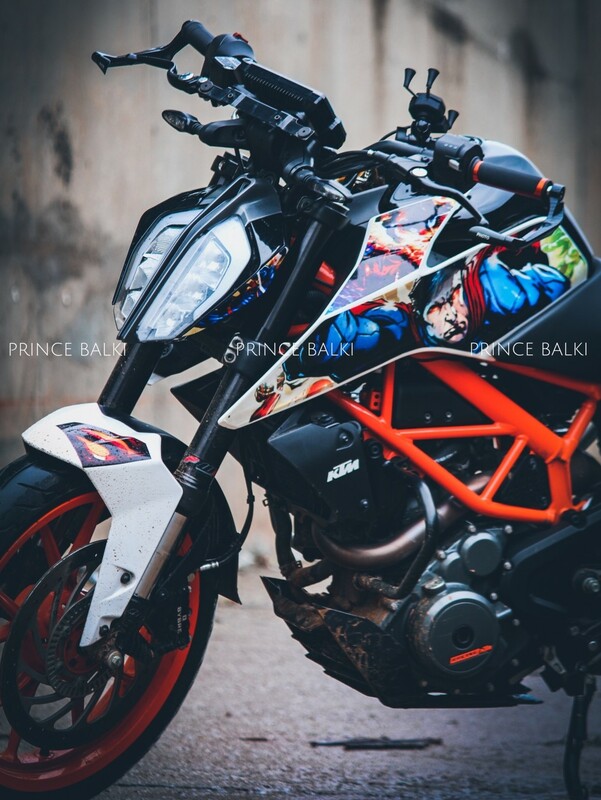 The motorcycle is available with carbon fiber lever protectors, Barracuda hand grips and mobile holder with charger for improved safety and utility. 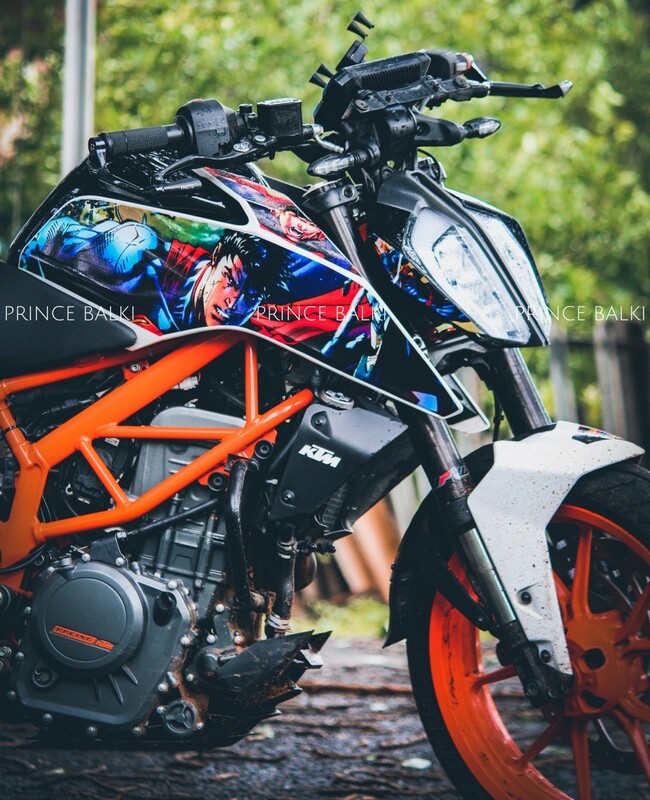 The owner of this motorcycle has done various customizations to his Yamaha R3 in the past but this one was the first where everything from pasting to printing was done at home. 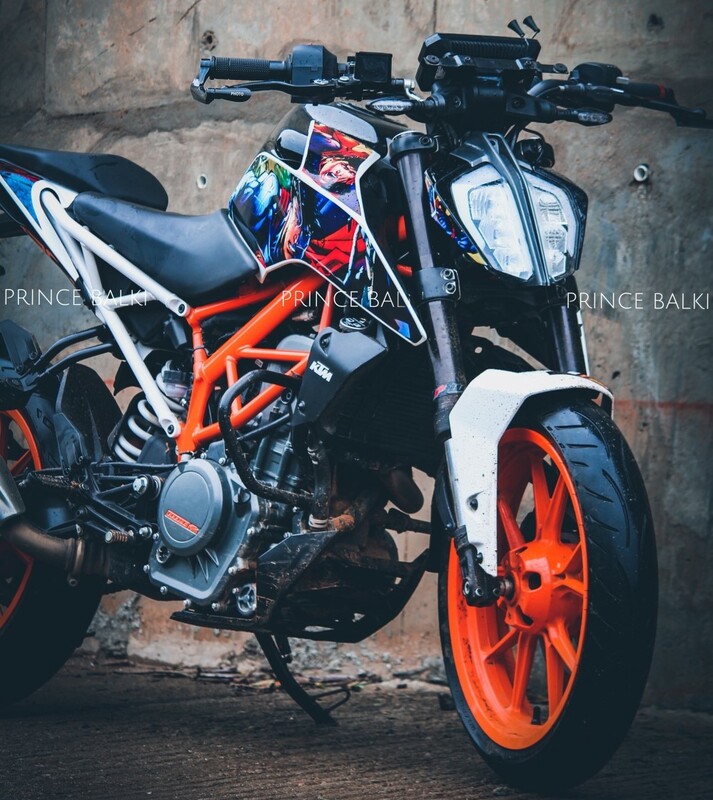 The stock KTM 390 Duke was white with orange alloy wheels. 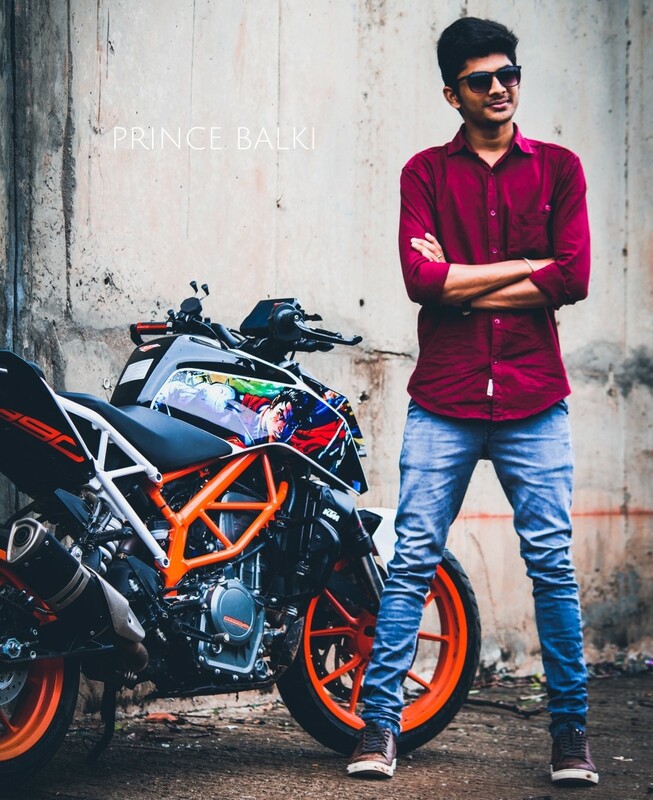 The most powerful motorcycle of its engine segment, Duke 390 changed how street bikes were considered before its arrival. 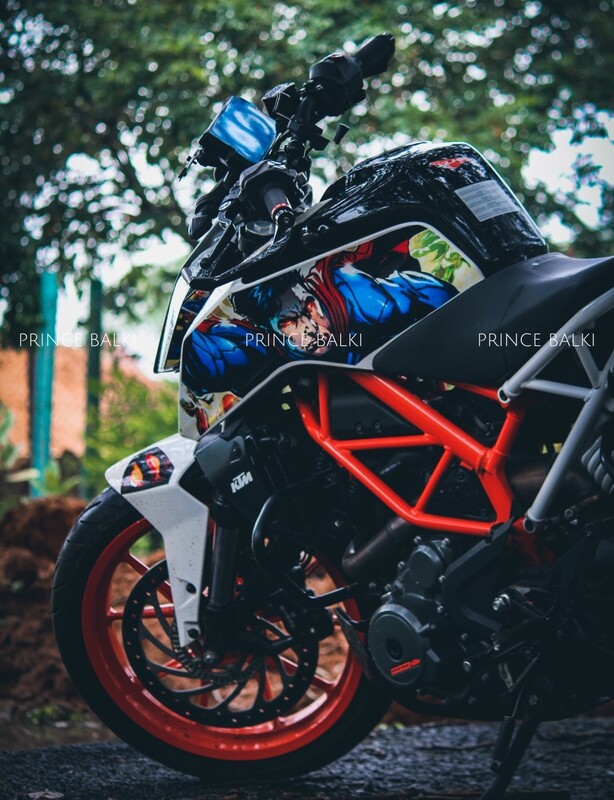 The update that added sharp LED headlight and side exhaust further raised the benchmark of looks and performance. The front half of the frame is finished in orange while the rear gets a white finish that looks perfectly synced with the paint job. 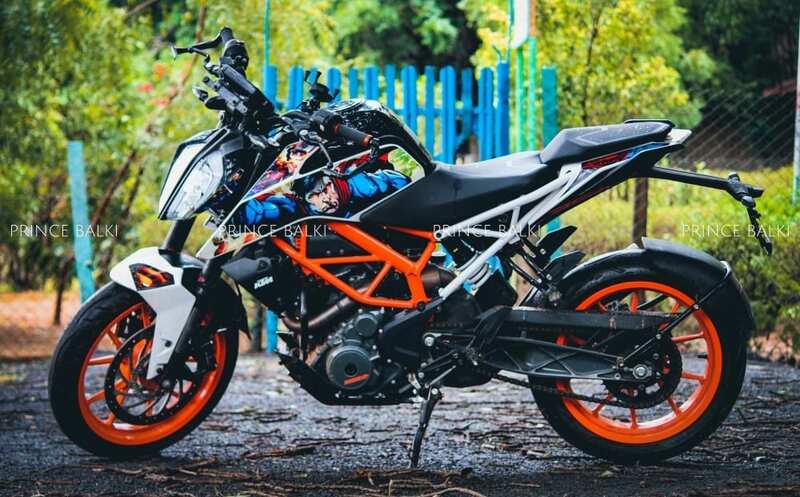 KTM Duke has the most available body kits across all other bikes, leaving buyers with other options like stretching the tank shrouds or turning the same into a touring machine. 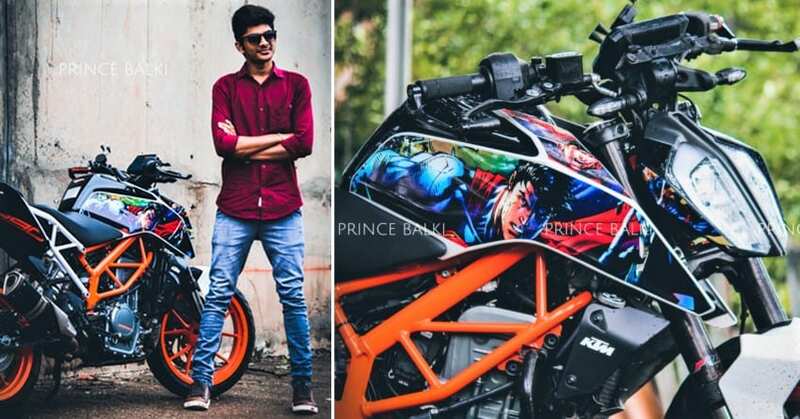 The stock bike costs INR 2.70 lakh (on-road, approx).